Her research, statistics and analytics skills have always been the driving force behind her ingenuity and originality. Right from the start, she always believed that it is better to start a trend rather than follow it. After completing her MBA, in international business and marketing, she started her career as a management trainee. After gaining some experience, she went on to become the Assistant Professor at Birla Institute of Management Technology. However, the idea of doing something on her own was continuously going through her head. This is when she started to ponder upon the idea of launching her own website. Exploring Startups is an interesting platform to explore the startup opportunities. 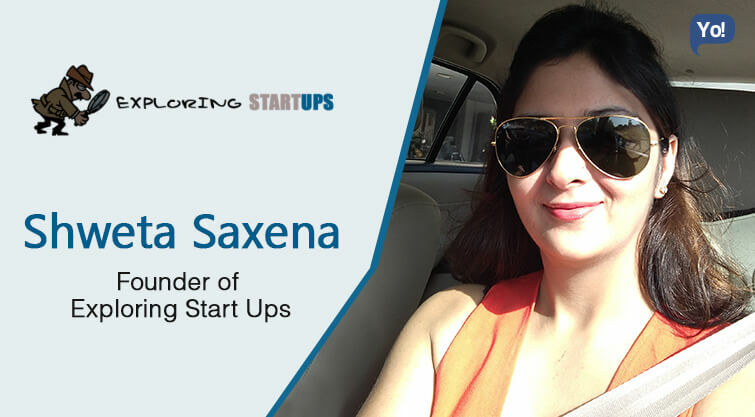 At Exploring Startups, they analyze not only the different startups in each industry but also the industries they operate in so that users are aware of the key challenges if they are thinking about a startup in that industry. There are also numerous ideas shared on Exploring Startups for aspiring entrepreneurs who are looking for new exciting ventures. comments and suggestions on those ideas. You never know you may end up finding your co-founder here. Exploring Startups offers a convenience to consumers to choose from all the options -the best app based on their own criterion. I am Researcher and Consultant by nature and profession. I love exploring interesting things and coming out with helpful insights. Startups being my latest area of interest I have been exploring different startups in various fields for more than a couple of years. Flooded with insights, I thought of coming up with a website where I could share it with people having similar interest. My motto in life is simple- Follow your Dreams! Most often we are entrapped in the vicious cycle of money and time. You spend all your time to earn money and then you spend money to earn some time for yourself. Most of my friends and colleague I interviewed said they don’t love their job; they wanted to do something else in life. I chose to do what I want to, money will follow. I would rather not dramatize the things by calling it challenges, difficulties are part of the business, we accept it with open arms. So far it has been a beautiful journey for me. As I mentioned I would not count small problems as challenges they come and go. Since we are a small team of core members we have not yet faced this issue. But as we are planning to grow we need to think on it as well. Google analytics. I think I am addicted to this service. Share any one habit which you think makes you morale productive. I take my work very seriously and my meticulous nature. The only problem I have with me is my ambitious nature, which does not let me sleep. I think that I would be better off with it and would never like to change it. Follow your dreams, success and money will follow. High-headedness, don’t forget and never be ashamed of your roots. We are planning to grow bigger in size – team-wise, as well as category wise. We aspire to be the one stop solution of all startup related queries. I would do the same thing that I am doing right now. I am 100% satisfied with the work I am doing and enjoying building it up brick by brick.